An estate plan is no longer reserved for the wealthy looking to pay fewer taxes. 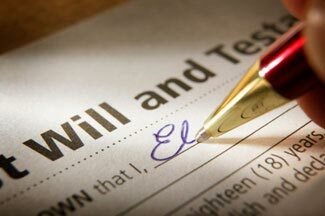 If you care about who inherits your assets, should you become incapacitated, or avoiding the hassles of a probate court, then you should have an estate plan. The benefits of an estate plan are many. Keep in mind, a mediocre estate plan will likely be out of date and have “holes” which risk the assets ending up in a costly probate court. ‘Assemble your own trust or will’ web sites do indeed allow you to assemble your own; however, solid legal advice in regards to estate planning, tax laws, trusts, and probate should be dispensed by an estate planning attorney. An estate plan, prepared by Yoder & Kraus, will provide that assets you own are transferred to designated heirs in a timely and not so costly fashion. At Yoder & Kraus, we will assist you in making certain that your family’s goals are met, even after you are no longer here.